Attract Mode V2.5.1 running on Linux. Some configured sound files are not playing. Event sound files for Up, Down, Left, Right are not playing. But other events (Select, Previous/Next Page, Previous/Next Game) are working.
" --loglevel debug" Doesn't seem to show any problems regarding config. 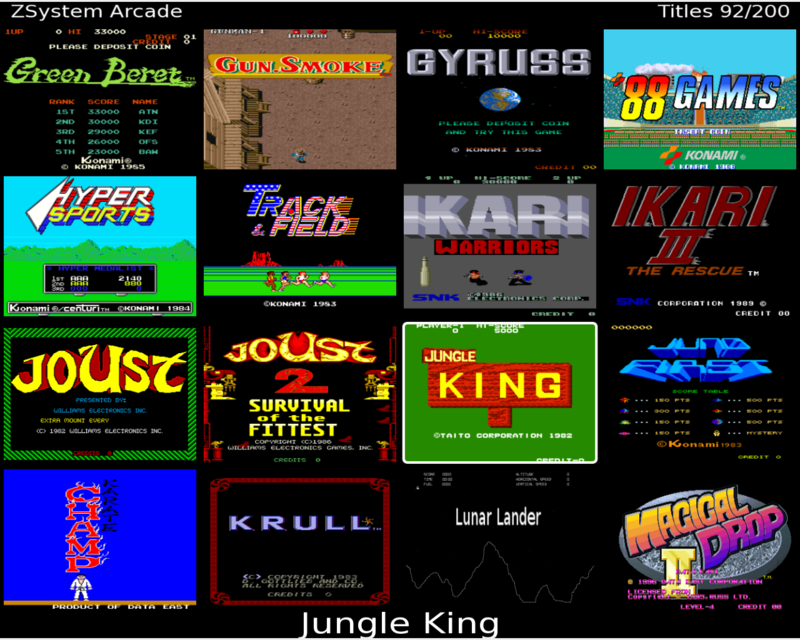 I am using the Grid layout with some minor aesthetic changes but nothing that should alter standard operation. If you are using "fe.get_input_state" function then direction keys will only affect keyboard input not gamepad inputs (which will be in this format "Joy0 Down"). I'm using a stripped down grid layout. The grid layout doesn't use "fe.get_input_state" looking at the layout.nut file. For input there is only keyboard - A standard I-Pac device. I havn't tried a Joystick/Gamepad. Attached is the Grid Runner layout nut file for reference. It still needs the frame.png found in Grid layout to operate. Some things I'll try: the same audio file that doesn't play when attached to left/right etc is working if attached to other events like "esc" or "back"? Other sound files work if attached to left/right etc? Last but not least, does it work in any other layout? Yes, The audio file works with other events. are triggered and will play the audio file (If configured). 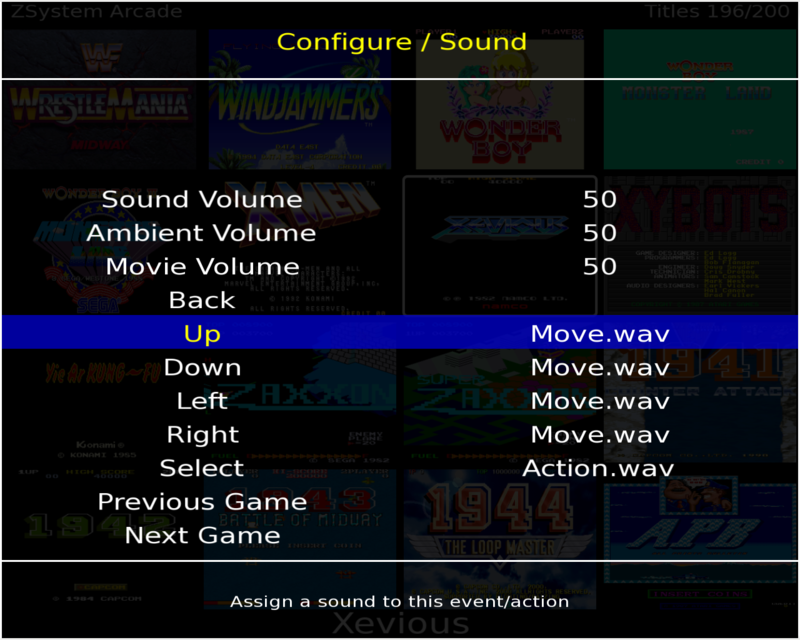 But just moving around within the layout (Not pushing an edge) does not play the Up/Down/Left/Right audio files. I havn't tried with other layouts as yet, But will have a poke around this weekend and learn a little more on how things operate. Ok, I think I have it working in some fashion. Standard movement within the layout adjusts the "sel_y" or "sel_x" values then calls "update_frame". No events are actually called from within "update_frame" function (Or the "get_sel" function). To enable sound "custom1" signal is configured to the audio file and called before the "update_frame" function. I'm still not sure if this is the "Correct" way to do it, But it does work. Signal callback works as intended with both keyboard and gamepad. AFAIK only Input_state differs between keyboard input (i.e. "Down") and gamepad input (i.e. "Joy0 Down").